News that China is planning to map the South China Sea is raising concern in the region, including India. India has another challenge to its strategic and diplomatic interests in its near abroad, thanks to a new move from China. Beijing has reportedly begun mapping the South China Sea, triggering fears that it is going to step up its oil exploration efforts to help reinforce its territorial claims. This comes as the Philippines is involved in a standoff with Chinese vessels in the region, suggesting escalating tensions in the area. The latest Chinese move was confirmed by a report released by the National Administration of Surveying, Mapping and Geoinformation on March 25, the Economic Times noted. 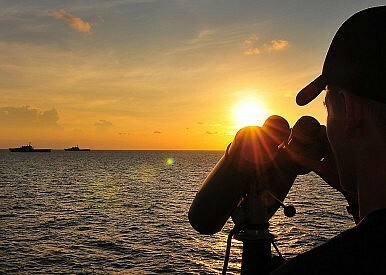 It said a working group jointly set up by 13 government agencies, including the ministries of foreign affairs, public security and commerce, will conduct geographical surveying of the South China Sea and draw up a map of the area to stake out “China’s stance” on territorial issues. India has invested over $5 billion dollars in oil exploration work in the South China Sea, including partnering with Vietnam. China’s semi-official Global Times quoted Zhang Yunling, director of the Institute for International Studies under the Chinese Academy of Social Sciences, as saying that geographical surveys of the South China Sea were a first step in a string of strategic benefits that China can reap in near future. “The majority of the disputed waters used to be beyond our reach because we seldom put our claims into action. By drawing a map, the country can reinforce its jurisdiction claim in the South China Sea, and further actions may follow, such as exploiting resources near the Nansha Islands,” Zhang reportedly said. Apart from India, other regional powers like Japan and Vietnam also have reasons to be worried over China’s latest provocation. Similar mapping work will reportedly also be carried out on the Diaoyu Islands (a major area of dispute between China and Japan) and other important areas in the East China Sea. Through the mapping, the Chinese government’s objective is to clarify the specific locations of the so-called nine-dash line by setting their longitudes and latitudes. For the record, senior Chinese officials have made statements downplaying the threats to peace in the region arising out of the Chinese move. But what is interesting is that even in these official statements, meant to calm the neighbors’ nerves, officials have suggested that a spat might be inevitable. Still, this latest pin prick from China may backfire as it runs the risk of encouraging other nations in the region to create a united front against it.